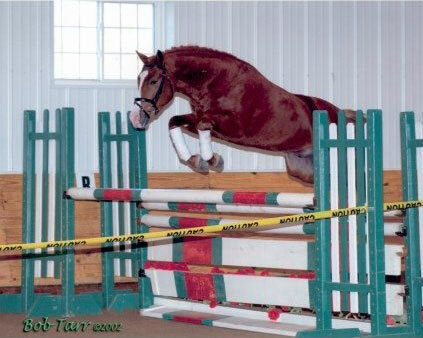 Forrest Flame is a dynamic competitor in a powerful pony package. At a young age Forrest successfully competed thru the levels at Regional championships to Fourth Level, while schooling Prix St George and Intermediate - and all this while managing several heavy breeding seasons. 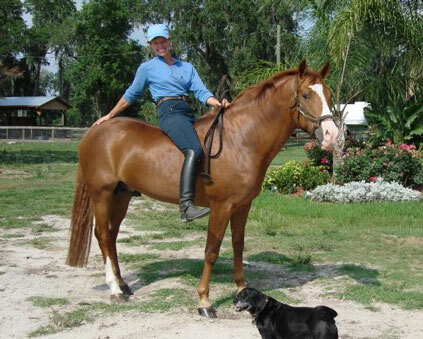 To date, Forrest is the highest scoring pony to have passed the Stallion Testing and the only pony stallion to have earned his three stars in the ISR/Oldenburg Registry Award Program. In a testament to his temperament and ride-abilty, Forrest was given a 10 by the Training Director Helmut Schrant, and has now gone on to be an FEI schoolmaster for his current young rider. The high quality of Forrest’s offspring speaks for themselves. With many high scoring Premium Foal Awards, numerous wins at breed shows and reports being received from breeders and trainers as to his offspring’s amazing talent under saddle in a variety of disciplines. We presented Forrest to the AWR for their 2001 Sport Pony Stallion inspections. Not only was Forrest approved as a First Premium Stallion, he also took the title of Grand Champion of the Sport Pony Division here in PA. 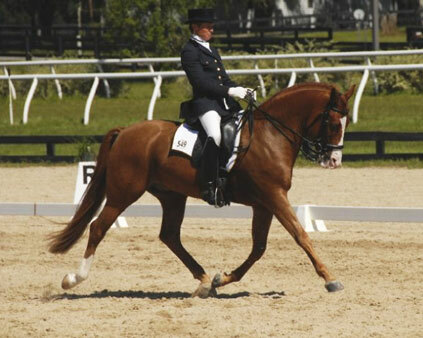 In August 2002 we presented Forrest, to the ISR/Oldenburg Registry where he passed the initial Stallion inspection and shortly after he left for Paxton Farm, Ohio to take part in the 30-day performance testing given by the Federation of North American Sport Horse Registries. Forrest Flame was Brilliant!!! He passed with a terrific score of 79.75% jumping as high as the big horses and clearly loving every minute of it. His score included five 9’s from Judges in Ride-ability, Jumping under saddle and cross-country and received his lifetime breeding license. 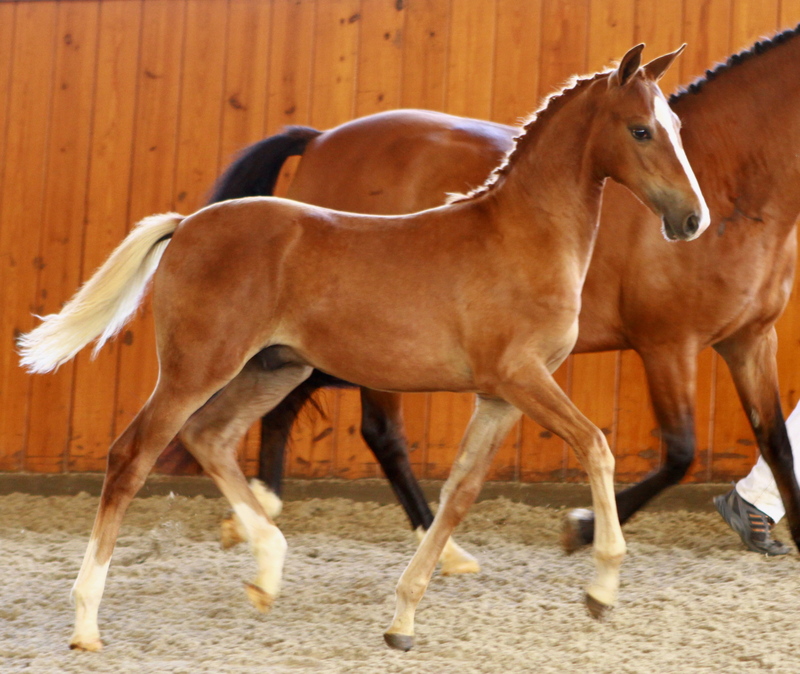 With many of his offspring earning High Premium Awards, Site Championships and either winning or placing high at such prestigious Breed Shows such as Dressage at Devon and the like, it is clear to see that he is consistently producing leggy, athletic, sporty types, suitable for competing in disciplines such as dressage, jumping, eventing and driving. His offspring often having the same fun loving and large personality as himself, the feedback is breeders are thoroughly enjoying their Forrest youngsters. Check out Forrest's offspring from over the years. 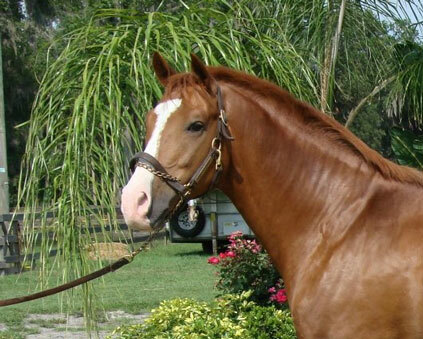 Check out Forrest Flame offspring currently for sale.